Don charges civil servants on corruption eradication – Royal Times of Nigeria. A professor with the department of Geography and environment Management, university of Ilorin, professor Olawepo Abiodun has called on civil servants to join hands with federal and state government in fighting corruption in the country. Delivering a paper titled “curbing corruption and enthronement of ethical leadership” at the Kwara state civil service week event, professor Abiodun called on the government to empower monitoring and evaluation department of all ministries, agency and parastatals in order to enable them monitor projects and its implementation process. He urged all civil servants across the state to cooperate with anti-graft agencies in order to enable them root out corruption in the civil service. 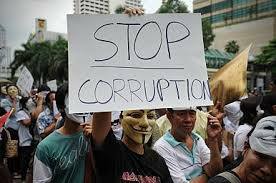 According to him, corruption constitutes a setback for socio-economic progress in Nigeria’s public sector as well as weakens government ability to promote sustainable goods and service delivery and good governance to the people. He also urged the federal government to continue to fight corruption until it is totally eradicated.